Rolls-Royce Phantom Performance, Engine, Ride, Handling | What Car? 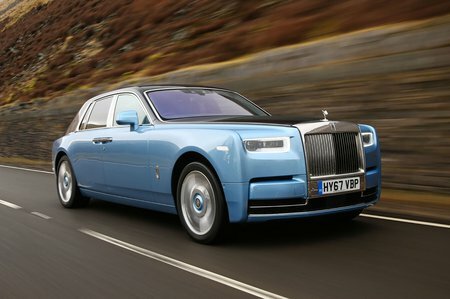 Even the very lightest Phantom weighs a mighty 2.5 tonnes; that’s no surprise given that the sound deadening alone accounts for a staggering 130kg of that. There’s an aluminium structure at the heart of the Phantom to prevent this bulk getting any more truck-like, and it’s stiffer, too. This helps the suspension work as well as it can and should banish any creaks when you hit a bump. To make sure performance feels sufficiently effortless, you’ll find a six-and-three-quarter (in Rolls speak) litre V12 with two turbochargers. Its 563bhp power output is impressive enough, but a more important number is the 664lb ft of torque it produces at just 1700rpm. 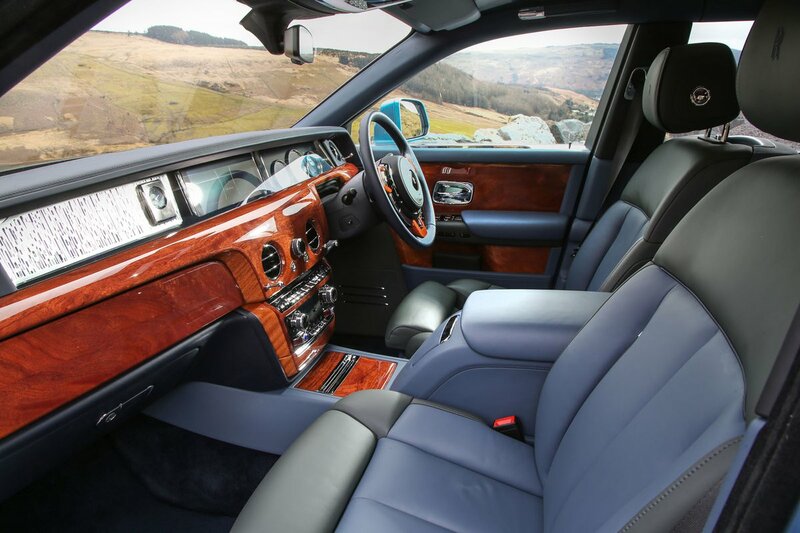 That means the smallest squeeze of the accelerator has the Phantom gaining speed easily; bury the right pedal in that oh-so-thick carpet and it catapults down the road in a deeply impressive manner, gently accompanied by the smoothest of V12 soundtracks from the engine room. Such behaviour is about as loud as the Phantom gets. There's virtually no road noise and its mechanical components work smoothly and silently. However, so well are the other sources of noise suppressed that your ear is drawn to a bit of wind flutter. 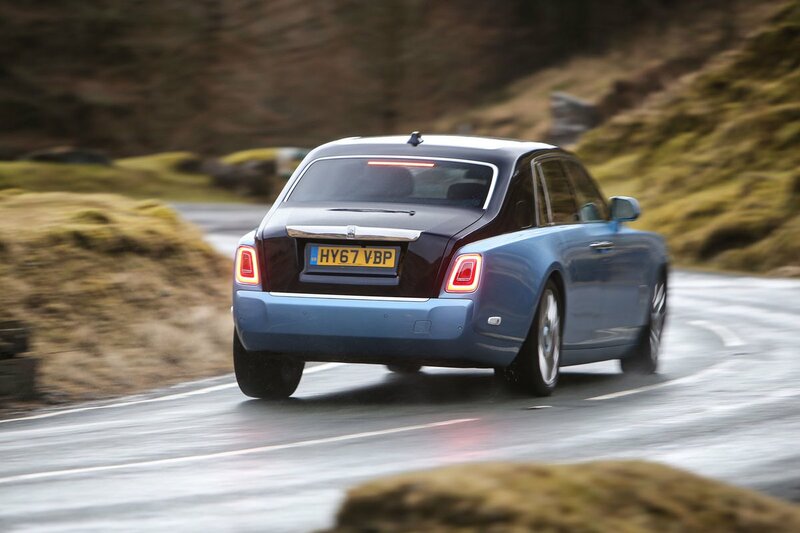 As you’d hope, the Phantom is exceptionally good at smoothing out rough road surfaces. Undulating asphalt is soaked up without fuss; only potholes and sharp pimples generate a slight thud that you hear more than feel. It’s certainly more comfortable than the Mercedes S-Class and BMW 7 Series, although we suspect an Audi A8 on small wheels would give it a run for its money. Given its size, the Phantom is surprisingly wieldy, thanks to its four-wheel steering system. This gives it a much tighter turning circle at low speeds, by steering the front and rear wheels in opposite directions. The steering is fingertip-light when you’re bumbling around town but weights up just enough as you go faster, allowing you to place the Phantom on the road precisely. Body lean is well contained given the car’s lofty profile and there’s lots of grip, but it just doesn’t feel appropriate to hustle one of these along with vigour.